Today's Coupons - Expire in 17 hours. Mike Lardy guides you in this hunting dog training DVD through e-collar conditioning with a method that emphasizes teaching in a positive environment. Whether you train for hunt tests, field trials, or hunting, this hunting dog training DVD shows you how to properly introduce your dog to the e-collar. Tail waggin' performances with excellent control are the hallmarks of retrievers trained with Mike Lardy's methods. Mike has trained over 60 AKC Field Champions and has won the National Retriever Championship a record six times. 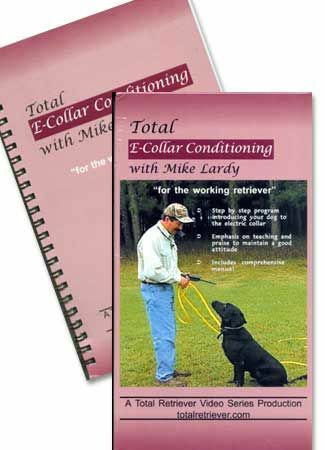 Mike is also a featured writer for the Retriever Journal, and his acclaimed Total Retriever Video Series has helped scores of amateur trainers compete successfully in field trials and hunt tests.